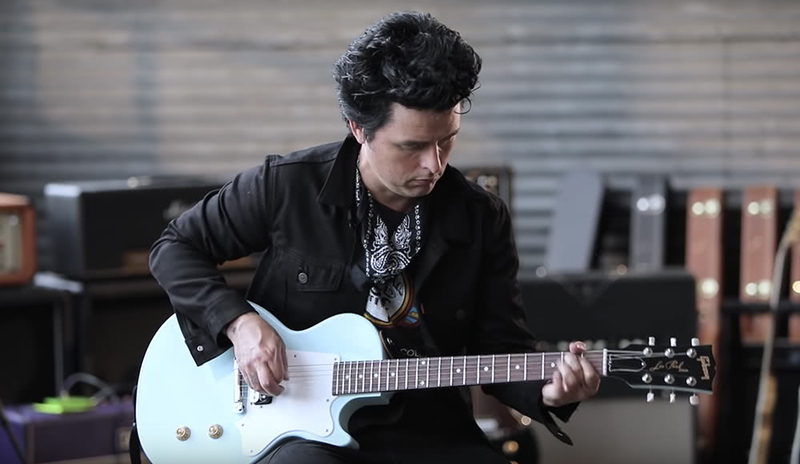 Gibson have just announced the introduction of a brand new Billie Joe Armstrong Signature Model Les Paul Junior. It’s based on Gibson’s historic 50’s era Les Paul Junior, built to “rock out on.” This modern take on a historic model features a single ’57 Classic Humbucking pickup, classic solid-slab mahogany body, and mahogany slim taper neck with rosewood board. He says that the reason behind the simplicity of the design was his desire for kids to be able to “put their own identity to it”. Whether that be through painting it themselves, covering it with stickers or carving into it, because that’s what he always did with his guitars. With a career spanning over 50 years and counting, Keith’s arsenal of guitars has grown quite massive. While reading the excellent book, The Rolling Stones Gear, which checks out the cataloging, photographing and even playing of Keith’s guitars. Among the most magical guitar of Keiths collection is the Fender Blackguard Tele named Micawber – the guitar Keith received on his 27th birthday from Eric Clapton. Keith rented Villa Nellcôte in Villefranche-sur-Mer, a low-key town on the Côte d’Azur, about four miles east of Nice and six miles southwest of Monaco. Nellcôte (nicknamed “Keith’s Coffee House”) became the group’s headquarters. 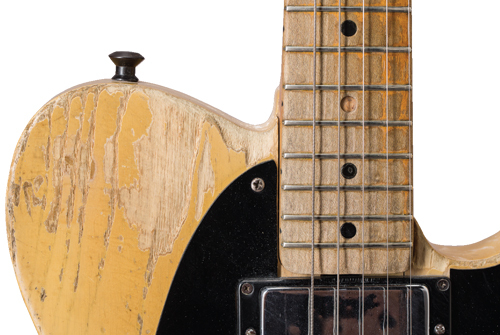 Though Keith has a few very similar Teles in his collection, Micawber can be easily identified from afar by a small but obvious dimple or gouge on the front upper left bout of the guitar opposite the cutaway. Keith continued to use his Micawber blackguard Tele on countless Stones recordings and endless tours. 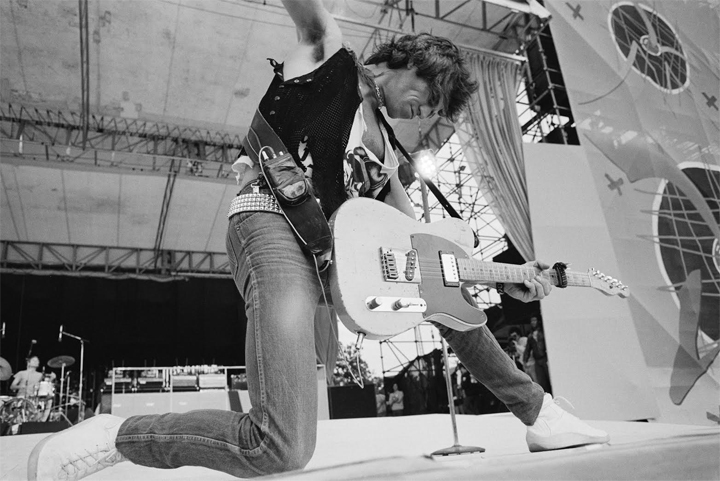 It wasn’t until the Stones embarked on their 1981 Tattoo You tour that Keith’s next guitar tech, Alan Rogan, made another modification to the guitar. Rogan explained, “You see, I had discovered the Schecter Telecasters for Pete [Townshend], so I knew where to get a solid-brass Telecaster bridge. That was the time period of all of the part companies – like Mighty Mite – making better parts for guitars. Better machine heads, like Sperzel, for example. 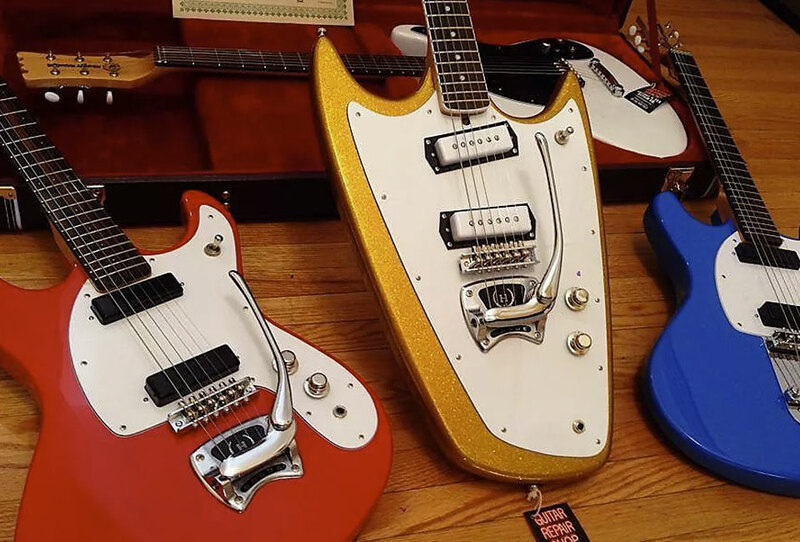 In the late ’90s, the brand was revitalized by Maryland-based builder Bob Shade, who produces a whole range of guitars based ultra-rare original Hallmarks as well as some Mosrite-inspired designs. Based in their popularity, it appears the the current generation of Hallmarks have earned a spot as the go-to make for anyone looking for a Mosrite-esque guitar. The Marrakesh Quarter Note guitar is the latest offset design by Revelation Guitars. The company was founded by British ‘Guitar-Guru’ Alan Entwistle, the man that gave us a pretty successful line of guitar pickups. 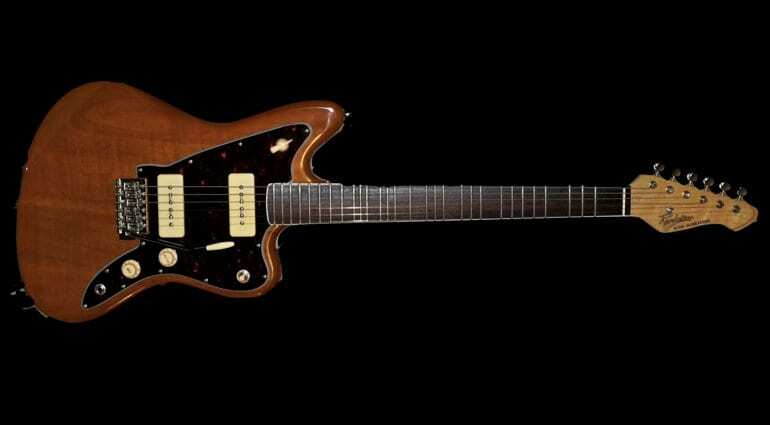 But in recent years Alan has moved towards making budget guitars that offer cool features – and this looks to offer something pretty unique indeed. 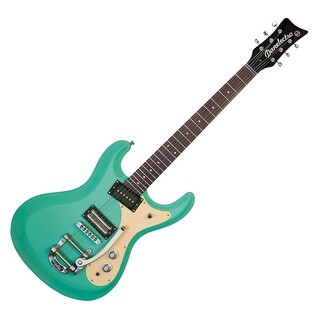 What caught my eye about this guitar was, of course, its offset design. Anyone that reads my articles frequently will know I am a fan of the offset guitar style. Well, I have been watching Revelation Guitars and their budget lines for some time. The firm has, for example, issued a 12 string instrument for under £300, which also sounds like a lot of fun. The Marrakesh sounds lime a genuinely interesting design because it has a ‘microtonal’ fret system on the regular length guitar neck. If you look closely at the fretboard you will notice there are 7 extra frets amongst the ones you would expect on a regular guitar neck, placed between positions 2, 4, 5, 7, 9, 12 and 14. This allows quarter notes to be fretted and played, which makes for some very interesting scale patterns and fingerings. This opens up the world to more Arabic and North African music styles, where these quarter tones are commonplace. The main body is made from Okoume and is finished in a rather plain brown which they call Sand Storm. It’s fitted with a C-Shape, 25.5″ regular ‘Fender’ scale length maple neck outfitted with a Lignum-Rosa fretboard fitted with those all-important extra frets to achieve its microtonal tuning. The pickups are a pair of Entwistle X90 Ceramic P90-style single coils controlled by a three-way toggle and a 5-position rotary switch, the latter accessing the ATN circuit. This is, essentially, a set of preset tone stacks. Plus, you get a regular Tone and Volume control as well. Sounds lime a lot of variety from one guitar. The Marrakesh also has a vintage-style tremolo with six saddles and matching vintage-styled machine heads as well. This all sounds like a lot of fun and honestly, if I could actually get to hear one then I would be tempted to go out and buy one myself, but as yet I cannot find any audio demos online.